The Arctic is becoming a new area of NATO’s influence, an area where security is closely associated with crucially important interests of its member states. In 2009, NATO Secretary General Jaap de Hoop Scheffer addressing a conference of the Alliance in Reykjavik that discussed prospects of security in the Far North, said that the change of climate and thawing ice opening greater access to energy and marine resources, combined with the potential of new trans-Arctic navigation routes, would create new problems and opportunities and increase the region’s significance for the Alliance . For the first time after the end of the Cold War, NATO identified the Arctic as a strategically important region that required constant attention and new approaches and solutions. The Alliance’s activities in the region are stepped up within a general pattern of the universal globalist interpretation of security that was conceptually formulated in the 1999 NATO Strategy. It was at that point that the principles of security dating back to the Cold War period came in for revision. The new comprehensive strategic approach to security issues has led to expansion of NATO activities beyond the North-Atlantic region (that is, it implies Alliance action beyond articles 5 and 6 of the Washington Treaty). NATO is still short of the status of actor in the area of international relations in the Arctic. Since NATO is an inter-governmental alliance of sovereign states with decisions within it in peacetime passed by consensus of all of its members (while there is still no consensus on Arctic issues), the best productive standpoint is to view NATO as a mechanism of influence. Besides, NATO member countries’ stance regarding the Arctic is obviously determined by economic interests of each of them that are a priori competitive in their nature. At present, NATO works as an important mechanism of influence that several countries (the U.S.A., in the first place) having strategic interests in the Arctic bring to bear on the policies of other countries – those that are outside the North-Atlantic Treaty but also have a stake in the region. An indication of the priority of national interests in the positions of NATO member countries is long-standing territorial differences between Denmark and the U.S.A., on the one hand, and Canada, on the other. In the case of the United States, this concerns the Beaufort Sea, with Alaska and the Yukon Territory both laying claim to it. Denmark and Canada are locked in a dispute over the rights to the Hans (Eastern) Island. Although the Arctic has not been mentioned directly as yet in NATO’s conceptual documents, the 2010 Strategic Concept entitled Active Engagement, Modern Defense  considers energy and transport problems as new challenges that the Alliance is faced with. It is pointed out in the Concept that the Alliance member countries are dependent on vitally important communication lines, transport and transit routes that serve as underpinnings of international trade, energy security and general wellbeing. At the same time, the Concept emphasizes that NATO is prepared to employ actively a set of political and military instruments for the purpose, and galvanize development of the potential to ensure energy security, including protection of key energy infrastructures and transit areas and routes . NATO countries are energetically developing national Arctic strategies. Their doctrinal documents carry fundamental principles in formulation of national policies in th Arctic, and this elucidates more clearly the range of national priorities. For example, National Security Directive # 66 of January 2009 that determines U.S. policies in the Arctic region (NSPD-66)  refers to freedom of the seas as the chief national priority. This implies freedom of shipping and air navigation through the Northwest Passage (the sea route by the Arctic Ocean along the North-American northern coast via the Canadian Arctic Archipelago) and the Northern Sea Route along Russia’s Arctic (Siberian) coast. Although the U.S.A. has not ratified the 1982 UN Convention on the Law of the Sea, this provision of the Directive does not contravene the Convention clauses that regulate the right of transit passage . However, Canada and Russia, in line with their national interests, in their position on navigation regime proceed from Convention article 234. This article on the Arctic grants all littoral states the right, within their exclusive economic zones (200 nautical miles), to pass non-discriminatory laws and regulations concerning navigation in ice-field areas. Russia considers the Northern Sea Route as a historically developed integrated transport communication line of the Russian Federation in the Arctic where the navigation regulations are set by federal laws and international treaties and agreements of the Russian Federation . According to Directive NSPD-66, the freedom of navigation regime on the Arctic seas is essential because it is in line with U.S. national interests. In spite of the fact that there is no direct mention of NATO in the Directive, the list of issues that the U.S.A. intends to tackle all alone or in conjunction with other countries, such as anti-missile defense, early detection and warning, strategic deterrence, marine presence and naval operations, leaves no grounds for any other interpretation. An important point is that the U.S.A. stepped up its activities with regard to the Arctic after the publication of a report by the U.S. Geological Survey that assessed the potential of Arctic hydrocarbons at 22% of the world’s total reserves . And this assessment, besides, left out all prospective deposits at a depth of more than 3 km. In the national Arctic strategies of NATO member states, economic interests clearly dominate over political and military considerations. Here are concrete examples to confirm this statement. Norway is NATO’s outpost in the Arctic. Norwegian interests in the region are not confined to hydrocarbons alone. Fishery is the country’s great economic asset. Problems around seafood production have repeatedly fueled conflicts in Russian-Norwegian relations. There were incidents that involved Norwegian coast guard. Norway is the only country in the world that keeps a permanent military headquarters beyond the Arctic Circle. Norway is lobbying a greater share of the Arctic for itself within the North-Atlantic Alliance’s plans. As the RIAC experts V.N. Konyshev and A.A. Sergunin point out, “it is Norway that was one of the main proponents of an Arctic strategy for NATO (January 2009)” . Furthermore, beyond its role in NATO, Norway spurs on the efforts of Scandinavian countries to create a special security zone, one that has already acquired the name “mini-NATO”. Norway’s ex-Foreign Minister Thorvald Stoltenberg in 2010 came out with the idea to create a defense alliance of five states – Denmark, Iceland, Norway, Finland and Sweden – to consolidate their military positions in the Arctic. Norway’s plans for NATO’s greater role in the Arctic are supported by Britain. As an important member of the Alliance and a nuclear power, Britain since 2010 has focused on the issues of defense and security in the Arctic region. This is expressed, in particular, in its support of Thorvald Stoltenberg’s idea to create the Arctic mini-NATO. 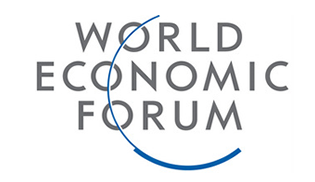 A North-European summit meeting was convened in London in January 2011, attended by representatives of Britain, Iceland, Sweden, Denmark, Finland, Norway, Estonia, Latvia and Lithuania. Experts identify the strategic objective of the new regional organization as curbing Russia’s military influence in the Arctic . Canada's position concerning NATO's role in the Arctic is opposed to that of Norway. Canada is wary of possible expansion of influence in the Arctic region of those NATO members that as in the case of Britain are not Arctic states. Experts of the Heritage Foundation (U.S.A.) presume that it may be Canada that in pursuing its national interests prevented any mention of the Arctic in NATO’s doctrinal documents – the 2010 Strategic Concept and 2012 Chicago Declaration . NATO’s activities in the area of security (which is the main function of the Alliance) follow in various directions – military and political, economic, environmental, information, and so forth. The military activities of the Alliance in the Arctic have increased appreciably since 2006. Its exercises Cold Response, conducted regularly, have involved servicemen of the main armed forces – Air Force, Navy, Army and special task forces. In June 2009, large-scale NATO military exercises, Loyal Arrow, were held in Sweden  involving servicemen from 10 NATO member countries and from formally non-affiliated Sweden and Finland. The exercise scenario was based on a possible international conflict over oil and gas. The Cold Response of 2012 became the largest exercise in recent years, with 16.3 thousand servicemen from 15 countries taking part in it (10 thousand in 2006, 8.5 thousand in 2007, 7 thousand in 2009, and 8.5 thousand in 2010) . The announced objective of the exefrcise was deployment and engagement of armed forces in the Arctic to forestall a wide range of menaces – from high-intensive means of warfare to terrorist threats and mass street action. There are grounds to expect that the Alliance’s military activities in the Arctic region will further intensify. The place and role typical of NATO in the Arctic will depend on the evolution of this international organization. Institutionalists (Celeste Wallander, Helga Haftendorn, Robert Keohane) assert that efficient functioning of international organizations or, at a minimum, their survival, depends equally on their ability both to respond to external challenges and to reckon with their most important members’ interests in foreign policies . Most of the risks and problems in the world today are non-military in their nature. Rather, they arise in the area of contamination of the environment, technological disasters, safety of transportation, etc. Great attention in this connection should be paid both to the issues of interaction of international institutions in their relations with member countries in security policies, and to these countries’ national interests within the functioning of the institutions themselves. In present-day approaches to international relations studies, the concept of security is given extended interpretations. The innovation in this respect consists in differentiation of the terms “negative” and “positive” security . Negative security is understood as identification by political actors of risks and threats to their own values and wellbeing. Positive security represents a multi-actor model characterized by non-violent measures in settlement of arising contradictions, and emphasizing the values of security and cooperation. Unlike negative security, which leads to mounting military potentials of the states involved, an important outcome of positive security is orientation towards creation and maintenance of a communicative environment that enables the participants to interact on the basis of mutually accepted standards, regulations and procedures, something that ruldes out any forcible solution of potential conflicts. Expansion of the Alliance’s activities in the Arctic region may follow by two main scenarios. The first, the negative security scenario, is associated with an awareness of increasing military risks and threats of hostility between the Alliance and countries not affiliated with it. There is a great probability that materialization of this scenario will lead to militarization of the Arctic region, a cooldown in international relations, and gradual decline of the activities of international organizations, such as the Council of the Barents/Euro-Arctic Region (SBER) and the Arctic Council. The second scenario, that of positive security implies making use of the NATO potential to expand international cooperation and build up a regime of regional management. By the beginning of the 21st century, the world’s leading countries had become aware of the need of global management in the Arctic. This need, however, cannot be satisfied unless the problems of military security are resolved. The two important institutional mechanisms, the Arctic Council and SBER, that maintain communication between governmental and non-governmental actors on a great diversity of issues arising in the Arctic leave military issues outside their competence . This stands in the way of efficient regulation of the entire range of relations in the area of security. In this connection, actualization of the Arctic problems by a military-political bloc dominating in the world offers an opportunity to construct a new architecture of international relations in the Arctic based on positive security. Russia regards the Arctic as a “key strategic resource base”. Russia is already active in carrying out its Arctic development plans. According to the large-scale offshore development program for the period till 2030, it is expected that oil production in Russia’s Arctic offshore areas will by 2030 reach 66.2 million tons, and natural gas production – 230 billion cubic meters. In 2011, Russia’s offshore oil production made 13 million tons, and gas – 57 billion cubic meters . Of great economic significance for the world and national economies in the era of globalization are “transportation bridges” that connect the economies of various continents. 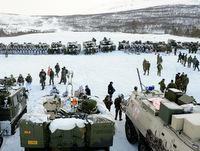 Russia has also strengthened its Arctic effort in the military area. A doctrinal document adopted in 2008 formulates Russia’s goals and strategic priorities in the Arctic . It states that it is necessary to set up general purpose task formations of the Armed Forces of the Russian Federation, army detachments and services (border guard, in the first place) in the Arctic sector of the Federation, that should be capable of ensuring military security in various military and political conditions. And although there are no special “Arctic troops” of any kind in Russia’s plans, some Western observers compare its strengthening of its air force and submarine patrolling in the Arctic and the North Sea to the Cold War period. The “we – they” contrasting in the Russia-NATO relations makes it possible not only to articulate more efficiently Russian national interest in the Arctic, but to build adequate mechanisms to uphold them as well. President Vladimir Putin in 2012 announced Russia’s plans to build 21 up-to-date warships and 24 submarines by 2020, and 16 of the latter will be nuclear-powered. The president emphasized that apart from the tasks to maintain global parity, modernization of the Russian Navy was dictated by the navy’s special role in supporting national economic interest in the energy-rich Arctic region where Russia is out to expand its exclusive zone of economic title . NATO comes out as a mechanism of communication between positions of member countries, on the one hand, and those outside the Alliance. The availability of yet another venue for dialogue along with mechanisms of the EU, OECD and UN increases the opportunities for international interaction and, consequently, the chances for compromise solutions of a broad range of problems. In addition, the emphatically non-military character of such international organizations as the Arctic Council and SBER makes it all the more essential to have mechanisms for negotiations on military issues among the countries concerned. It is important that Russia participates in joint action with NATO countries in the format such as the FRUKUS international exercises that have been conducted annually for already more than 10 years. Russia, the U.K. and U.S.A. first launched these exercises in 1993 within the RUKUS Program (today named FRUKUS, since France joined in the program in 2003). In 2012, the exercises, then hosted by Russia, were devoted to measures to ensure security of marine economic operations. The Northern Eagle exercises that in 2012 were conducted for the fourth time are of even greater importance in consolidating military cooperation in the Arctic. Traditionally, the goal of exercises is development of joint action with Norwegian and U.S. navy squadrons in operations against terrorism and piracy, and in rescue operations. Cooperation in the military and related areas has its own specific features. The point is that a key factor of any cooperation is the level of confidence. NATO, as in essence a military bloc, is able to work out specific formats for cooperation that are instrumental in military interaction of troops from various countries. Extremely important is development of international cooperation in the area of radiation and environmental security. A case in point is the AMEC cooperation program (Arctic Military Environmental Cooperation). Since 1996, the program has been supervised by heads of environmental services of the Russian, Norwegian and U.S. defense ministries. Dozens of nuclear security projects have been carried out in north-western Russia in the course of its implementation – in the first place, in disposal of nuclear submarines. Experts point out that at the core of AMEC efficiency has been the understanding that environmental problems associated with the military area are better tackled by military officers than by civil servants. After Britain joined in the program and, following the “principle of corporate competition in projects”, insisted that the the matter was transferred from the military to civil structures, multilateral cooperation practically came to an end. Norway and the U.S.A. in essence withdrew from the agreement, staying only as observers . An important area in the Russian-NATO relations may be measures to ensure environmental security and balanced nature management. The shift in the Alliance’s priorities in the security area towards non-military risks and threats is one of the new points in the NATO Strategic Concept of 2010. Along with infrastructural (transport and communications) and technological threats among the challenges that the Alliance faces, the Concept lists fundamental environmental problems. Professor Helga Haftendorn, founder of the Center for Transatlantic Studies in International Politics and Security Politics at the Freie Universität Berlin, points to the increasing significance for NATO of soft capabilities needed to find response for new challenges associated with climate change, cyber crime, search and rescue operations, disaster management and humanitarian aid operations . Considerable progress in the Russia-NATO relations is mainly possible in prevention of non-military threats to security. Russia has repeatedly declared that it sees no need for any presence of military-political blocs in the Arctic. The Russian Foreign Ministry’s official position is that there are no problems in the Arctic region that could require application of military force. Solution of all potential and arising problems should be achieved on the basis of international law . However, NATO’s presence in the Arctic region has long become a reality, while the latest actions by the Alliance and statements by its leaders are reason to believe that its activity in the Arctic will be intensified. Whether intensification of NATO policies in the Arctic will make it possible to transform the relations in the region into the realm of positive security, with institutional conditions created for long-term sustainable development of the Arctic, or, on the contrary will intensify the trend of negative security, remains to be seen. In spite of all the complexities in their relations, NATO and Russia must work for development of constructive cooperation both relying on the already existing structures and building up new ones that can enhance the quality of international relations in the Arctic.